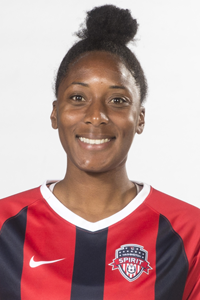 2007-2009: Played for the Washington Freedom of the W-League, where the team went on to capture the league championship. Scored a goal in the championship match against the Atlanta Silverbacks. Earned W-League Team of the Week Honorable Mention honors in 2009.